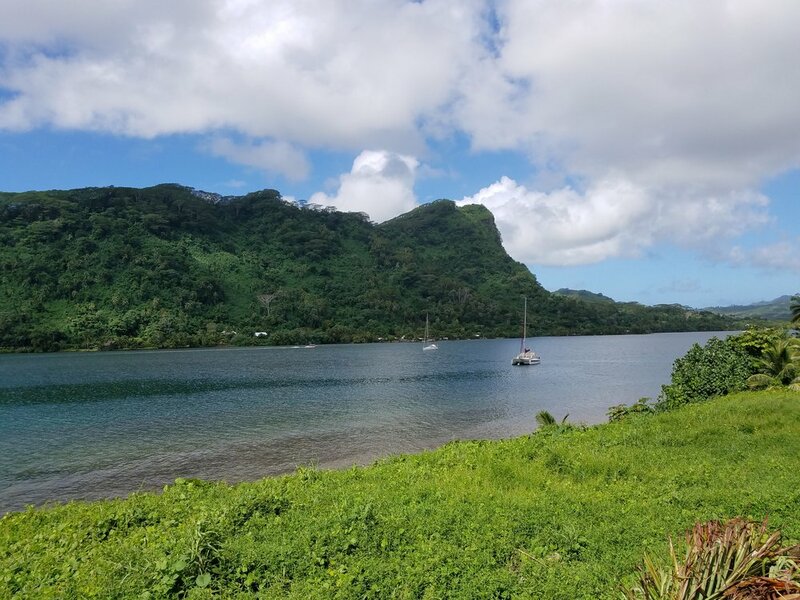 It was Sunday, and Raiatea is very quiet on Sundays. We found a cab driver who agreed to take us on a small tour of the island. He piled us in his cab and drove off, but had to make one stop along the way to drop off the eggs and bread to his wife. He then took us along the coast, ending at Taputapuatea – the sacred spot on Raiatea. It is considered the most important marae (temple). 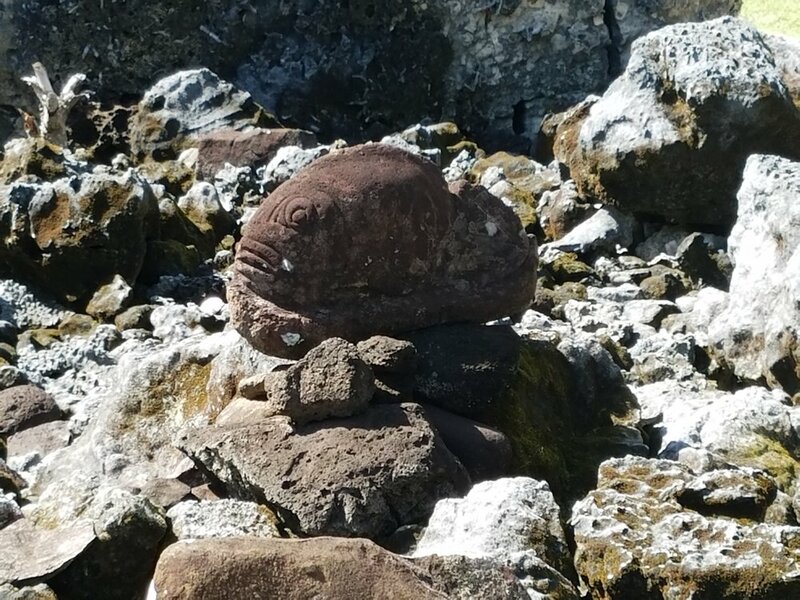 Every temple constructed throughout Polynesia had to have a stone from this place. It dates back to the 17th Century and was dedicated to Cho, the God of war. The exploration and settling of what became known as French Polynesia originated from here. And, legend has it, that it was from this most sacred place of the Polynesian people that the great outriggers embarked on their long and courageous journeys to Hawaii and New Zealand. 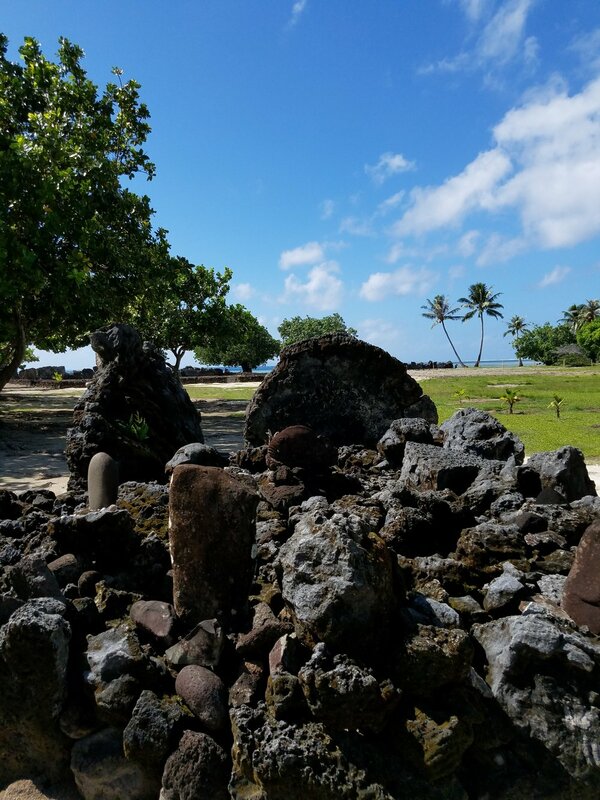 Finally, It is believed that the princess of Ra’iatea traveled from Taputapuatea to Huahine to marry the chief and thus begin the creation of religious sites throughout the islands. We headed back to the Wind Spirit in time for lunch. After lunch Vicky and I went on a kayak tour of Faaroa River. It was a small group that went on this tour which made it delightful. The afternoon was cloudy and cooler, and we were lucky that the rains held out. There are very few rivers on these islands so it was nice to be able to see the lush interior of the island from the water. It was a slow and easy kayak. The river gets very narrow and makes for slow going with a group. But it was well worth the trip. We have explored the islands from every angle. We made it back in time to see the Mamas and the Papas, a group from Ra'iatea of dancers, musicians and women tying pareos and making leis. One of the women made a lovely hair piece of flowers and greens for me. It was the perfect accessory for our evening BBQ on the deck. 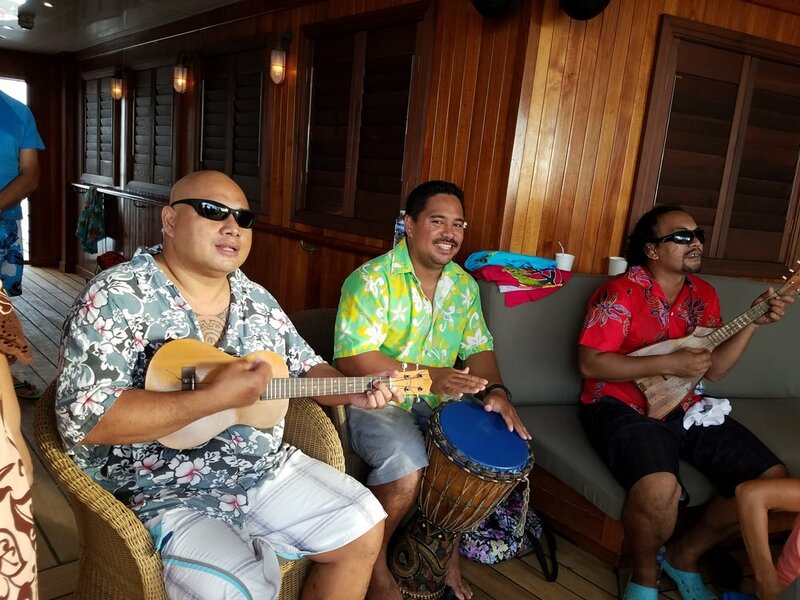 We were supposed to leave Ra'iatea during dinner but because the seas were a little rough our captain chose to do our Sail Away after our dinner. Dinner was amazing with all kinds of veggies, fruits, seafood and meats served right off the grill. The crew entertained us with dancing after dinner and did a great job of getting several of the guests up to join them. It was a lovely evening under the stars.